First #SpotlightRomania is a wrap! And I’m in for a new project already, not sure which one though but I’m ready to find it or find them. The festival was great to make, great to witness it happening and be there, and also great that we got so much positive feedback and reactions we’d never expected. The Spotlight:Romania Exhibition in GEMAK has been prolonged for another month because of all the interest it received. And I already need to think of something new, something fresh, what to do in 2016. It’s not only the events I want to think about, but other things too. My new photo project, writing, what to do with this blog and the mixed feelings I have about what I should do with it. It’s seems that sometimes, the fact that I have so many ideas becomes my enemy. Each project that I come up with and some of the ones that are offered to me tempt me genuinely, and I’m so not good at being realistic about time and my capacity to do everything. Because in the end this is what it’s all about, me wanting to do all of them, and then time and energy saying neeeeh, we’re much shorter/lower/unavailable than you thought. No matter how much you stretch – and I do stretch a lot – not everything can be done. And that’s something hard for me to accept. Hell knows why. What’s for sure is that the success of Spotlight:Romania gave me a taste of the rewards an extensive project can bring me. Of the fact that you can decide to go for something, and if you pursue it systematically enough, it just might happen. A taste of what it’s like to work with people as a team – me, the one allergic to the simple mentioning of the term, always willing to take over and do things by myself – this time it was good and enjoyable and it gave me energy and a certain feeling of belonging. And yes, the project gave me self-confidence and made me more humble and grateful at the same time. A good combination for the spirit and for the future. I think I’m ready for holiday already. And for 2016. 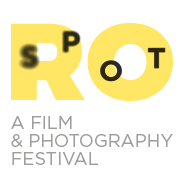 And here’s a video of the opening of Spotlight:Romania. My speech included. Here is my big excuse for neglecting you and Passepartout for so long. It’s all happening now, not even a hurricane can stay in its way. The Spotlight:Romania exhibition I curated will be on from the 3rd of October until the 8th of November in Gemak, in The Hague. It is the biggest exhibition of Romanian photography The Netherlands has ever seen, and a selection of 8 photographers and 8 photo series that tell Romanian stories. They all have a bit of everything I know, love and miss from the country, and that I think the world should see. 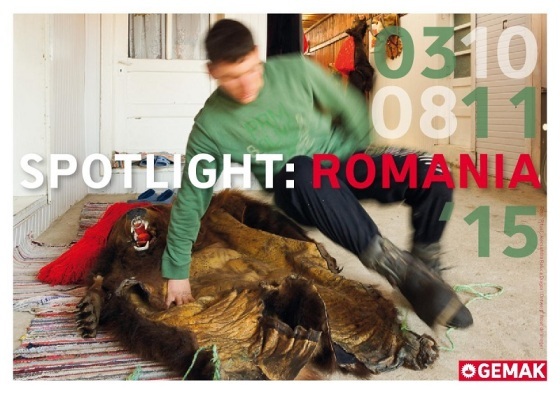 And yes, important: the exhibition is part of Spotlight:Romania. A Film and Photography Festival me and Corina Burlacu have been baking for a while now. I know what you’re probably thinking, this place became really really quiet. And that’s true. It’s been quiet for a while and I’ve been a busy bee organizing a festival called Spotlight:Romania, my baby-project and long time dream. I am doing it with a friend, Corina, and together we started this cultural initiative called Eastwards, to take Eastern European culture and put it into events and happenings. And now we’re here and there and everywhere, pulling ropes and pushing doors to make Spotlight:Romania happen. And it will happen. Me, I’ve been curating a big exhibition of contemporary Romanian documentary photography, all the (Eastern) feel and the stories in one place. And we’re almost there, with the festival I mean, I’ll tell you all about it, I promise. Don’t give up on me and Passepartout because there are some really good things coming up. In a bit. And if you’re in The Netherlands, please come. 3rd of October – 8th of November. We’ll have movies every Tuesday evening in De Nieuwe Regentes Theater (we have Aferim! and not only), the photos are to be seen in Gemak, and on top of that we have a pretty cool side program with workshops and docs. Keep an eye on our Eastwards page for all the events.